Here’s a terrifying statistic to chew on – around half of all businesses that fall foul of a genuine data loss disaster go out of business within 24 months. And if that wasn’t bad enough, more than 90% of those facing the same disastrous data loss will fold in the following five years. But despite the obvious dangers of facing such a disaster and the evidence to suggest there’s often no going back, no more than around 40% of businesses have a genuinely robust disaster recovery plan in place to turn to when and where called for. The most important and obvious step of all is of course that of making a plan in the first place. This means carefully mapping out what would be needed to keep the business running in the event of a large-scale disaster. From data backups to emergency hardware to the necessary manpower and even alternative premises if needed, it’s a case of coming up with a plan that specifies everything you’ll need to stay up and running in the event of an emergency/disaster. 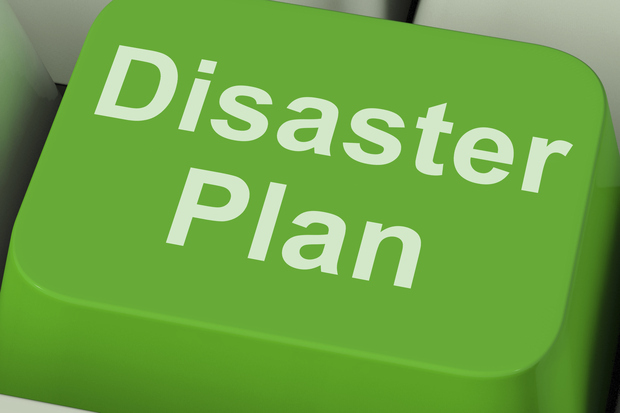 Never forget that a disaster recovery plan should and must be seen as something of an on-going process that’s added to and modified on a regular basis, as and when needed. While going about the course of business, be on the lookout for anything that can or should be added to the plan in order to cover all bases should the worst happen. By contrast, a plan should never be penned out, put to one side and allowed to stagnate. It’s not like you can shut down your business entirely and test your plan with full realism, but you can still test its various elements on a more gradual basis. For example, you could shut down every IT and network system the office has access to and test how the team copes – can you continue operating, or are you looking at serious downtime? You can also try barring access to the office as a whole for a given period of time in order to see how things are affected – can the business continue running regardless, or is it impossible to do so? Much of what happens in the event of disastrous data loss will inherently come down to both your hosting company and the hosting package you’re currently making use of. While things like solid backups and contingency plans are usually implemented as standard, you really cannot take such things for granted. As such, an important part of your disaster recovery plan is that of speaking to your hosting provider in order to find out what they do, how they do it and how you might be affected/helped if things were to take an unfortunate turn. Even if your hosting provider does promise to offer a robust system of backups, it’s still of the utmost importance to have your own in-house and off-site backup systems in place. There’s simply no such thing as a 100% infallible backup and so it’s crucial to make sure there are backups of backups to be called upon if and when needed. Be sure to keep at least one backup off-site in case of a disaster or emergency at the premises. Don’t fall into the trap of just assuming that your backups are sound and that data restoration would be a) easy or b) possible at all. Instead, take the time to test the data restoration process to find out for sure. One of the most important elements of the planning process is that of ensuring that all disaster recovery tasks and duties are appropriately delegated and assigned and that everyone involved knows what they’re doing. After all, the last thing you want is an office full of people running around like the proverbial headless chickens. Last but not least, the very best advice is of course to avoid catastrophic data loss in the first place which although impossible to guarantee is a fight that can be bolstered with a higher-quality hosting package. The more robust and capable your hosting package is, the better the chance you’ll never have to face such an eventuality or its rather regrettable consequences.